We believe that sustainability is a powerful tool to influence us in improving how we run our business. Key is for us to figure out how sustainability fits and translates into our activities. When approaching the topic, we therefore decided to commence from our investor’s perspective. To secure that our work within sustainability remains genuine and close to our DNA, we get inspiration by keeping an eye on skeptical investors in particular. If the skeptics can relate to our efforts, we are probably on the right path. 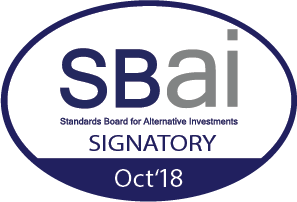 For this reason we started our journey by assigning an “Investor Ombudsman” as a permanent independent board member (which we believe even a sceptic can see is in the common interest of all investors). We have since then added two perspectives; how we invest and our role in the financial system. With regards to implementation of sustainability in how we invest, we take responsibility of how we allocate and make use of our balance sheet. To make sure that our decisions are well thought through, we collect data from an external ESG consultant and coordinate our efforts through our Sustainability Steering Committee. With regards to our role in the financial system and society as a whole, we are active members and strong advocates of UN PRI and SBAI. For further information on our approach to sustainability or to receive a copy of our Sustainability Policy Framework, please do not hesitate to contact us.